After a fabulous vacation in the gorgeous US Virgin Islands of St. John, I thought it would only be fair to put together some Frozen Treats for all of you. I have everything from adult beverages to perfect popsicle treats for the kiddos. So sit back and get cooled off with one of these delectable frozen treats and I’ll see you all tomorrow night for another Whimsy Wednesdays. Thank you Jenny for including me in this – WOW- they all look so good. Thinking we should just forgo all meals & jump straight to the treats today. Great frozen treat collection! Thank you for including my parfait! I’ll take one of each please Jenny! Thanks for including my Watermelon Pops Jenny! Oh my, so much frozen goodness here! PINNED! Thank you for sharing on Thursday’s Treasures! I’ve shared all this frozen deliciousness on this week’s (96) linky party. 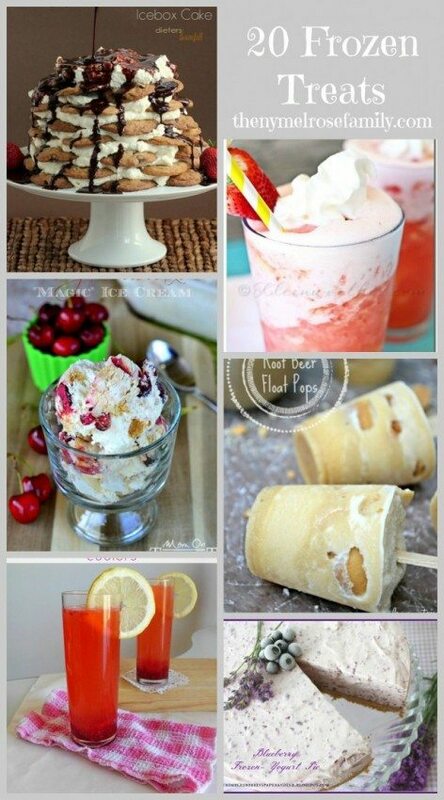 Thank you so much for including my easy greek yogurt pop’s for kids! I am just now getting the pingback on WordPress. I know iI’m a little late but going to Pin this post and share 🙂 Thanks again!